Rehabilitation means improving your ability to move. This is the active component to your recovery. Our highly qualified staff will use a range of exercises to help progress you through your recovery. These exercises help to get you moving, active and strong again. In doing so, any pain you have, also is improved. Physiologix has a cutting edge range of rehabilitation equipment. We have a fully equipped pilates gym, lots of other rehabilitation equipment and we are based in a gym so can use a wide range of new technology gym equipment. 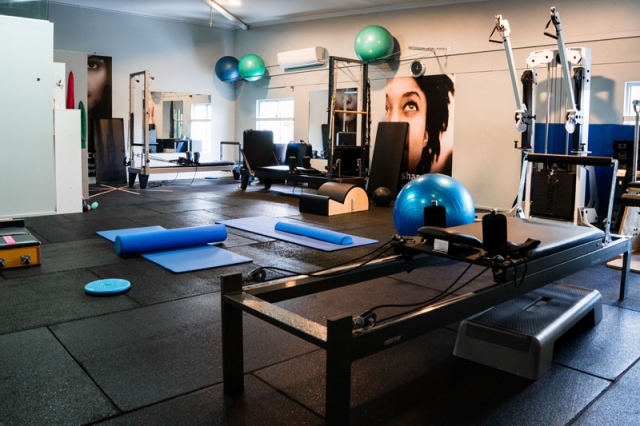 We can treat you in an individual session, let you work in small group exercise classes (always supervised by a highly qualified physiotherapist), or set up a program you can do yourself, either in our rehab area or within a gym setting. We're here in every way. We treat a whole range of injuries and can work with you privately or through a external insurer body (for example work cover, insurance, DVA etc). We are here in every way, what ever it takes, to get you back on track. Your Health is our number 1 concern! Cutting edge technologies such as real time ultrasound to provide imaging of muscles and joints allowing you to get the right muscles working fast. Progressive exercise programs to address your needs, enhance strength, balance and flexibility. Exercise forms an important part of this holistic approach and the combination of techniques results in optimized and effective rehabilitation. Screening assessments to improve body form or ensure appropriately specific work out regimes. Treatment techniques such as as mobilizations and soft tissue massage. You don't have to be a member to have treatment! Want to keep up with our SPECIAL OFFERS and NEWS? Simply enter your email to subscribe! Physiologix Therapy Solutions - Physiotherapy, Massage, Sport Injury Rehabilitation, Pilates - The Gap, Brisbane © 2019.